Not only could the revolution in artificial intelligence technologies be an ally in the effort to help people live longer, healthier lives, but an international team of researchers are also suggesting that using AI and machine learning to explore biology may advance computing techniques. 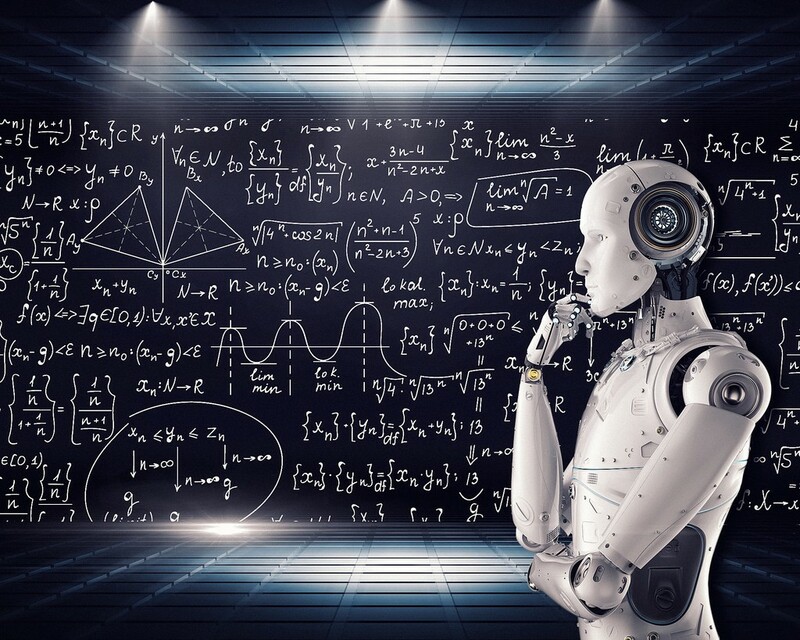 In a review published in the January issue of Aging Research Reviews, the researchers outline how AI technologies are rapidly emerging as weapons in the fight against aging and for longevity. Alexander Zhavoronkov, CEO of Insilico Medicine, a company that pioneered the use of AI for aging research, and one of the paper’s authors said they wrote the review to boost collaborations between bringing AI developers and longevity scientists to help solve what was once thought to be an intractable part of human biology — aging. In fact, the two fields can inform each other, he added. Using AI to study ways to extend the human lifespan can help AI developers learn how to make their previously black box AI more interpretable, he said, while training deep neural networks — or DNN, a type of artificial neural network — can also give life scientists a more holistic view of biology. 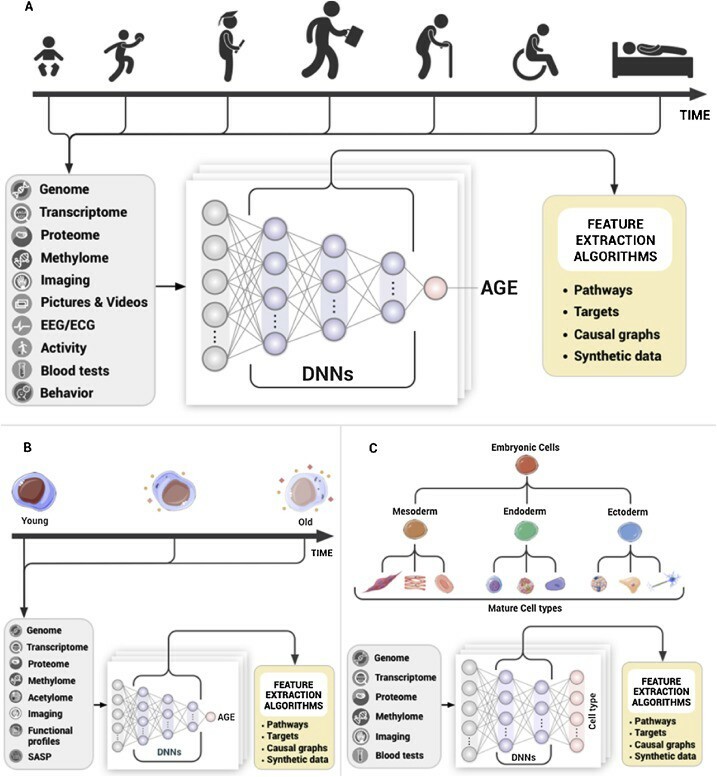 As more data — and more diverse sets of data — are available, the researchers said that DNNs become increasingly powerful tools for exploring human biology and ageing. By introducing a concept of time into DNNs, it is also possible to infer causality. One of the key areas where AI can assist researchers who are investigating aging is by discovering biomarkers of aging and by identifying interventions, according to the researchers. Biomarkers are substances that signal the presence of some phenomenon, such as a disease or infection. For doctors, knowing the biomarkers of a disease can help them plan intervention strategies. “Not only can AI be used in identifying biomarkers and then following up with potential intervention strategies, but it can also track the effectiveness of those interventions, instead of just waiting for people to die to see how much the interventions can extend lifespan,” said Zhavoronokov. The researchers expect deep learning, an AI model that attempts to mimic how humans learn, called deep learning, which has equaled and even bested humans in playing video games and image recognition, will find a place in aging research, particularly in helping to uncover biomarkers of aging. While the field is young, the researchers are optimistic that the partnership between AI and longevity research will lead to profound changes in the treatment of aging. They expect the collaboration will improve the pipeline of drugs and interventions for treating aging, for example. “One can expect that multidisciplinary approaches combining the ability of modern AI to generalize, learn strategy, generate new models, objects and data from learned features with accurate methods for feature extraction and causality analysis will lead to new applications in every area of preventative, regenerative and restorative medicine,” they write in their review. Zhavoronokov worked with Polina Mamoshina, researcher scientist in the Pharmaceutical Artificial Intelligence Department, Insilico Medicine and doctoral student in the Department of Computer Science, University of Oxford; Quentin Vanhaelen, senior researcher, Insilico Medicine; Morten Scheibye-Knudsen, associate professor in the Center for Healthy Aging, Department of Cellular and Molecular Medicine, University of Copenhagen; Alexey Moskalev, affiliate faculty member in the school of system biology at George Mason University and Alex Aliper, president, Insilico Medicine.